After NVIDIA announced the SHIELD set-top box / game console this week, I saw a random Internet commenter state that it was nothing more than “OUYA 2.0.” While the thought is mildly humorous, SHIELD is much more than what OUYA ever was, hoped to be, and ever will be. With the birth of Android TV last year, NVIDIA is placing a bet on the living room, and if the upward tick in smart TV purchases is any preliminary indicator, the company could have a very successful product on their hands. Thankfully, NVIDIA is offering much more than just a plain Android TV box, something that already exists in the Nexus Player for just $99. SHIELD doubles as a complete game console, capable of running AAA titles (a classification term used for games with the highest development budgets and levels of promotion), such as Crysis 3, Borderlands: The Pre-Sequel, GRID 2, and DOOM 3. Linked up to NVIDIA’s own GRID game-streaming network, with servers placed all across the globe thanks to a partnership with Amazon, owners are able to sit back on the couch and experience a few of the newest games available. At launch, NVIDIA plans to have 50 games accessible through GRID, but that number is sure to grow fast as new games are produced all of the time. Not only does SHIELD offer these console-grade game titles through NVIDIA’s servers, but owners also have access to Google Play, which brings all of its content to the device. This content includes movies, music, apps, games, and anything else that your little heart might desire. This simple fact makes SHIELD and the Android TV platform as a whole quite powerful. Having owned pretty much all of NVIDIA’s product offerings that involved Android, I can speak from experience that the company takes their ventures quite seriously. In terms of updating their devices, the SHIELD Tablet was one of the first to receive the Lollipop update after Google released it, with NVIDIA still pumping out updates in a timely manner to this day. If you have been burned by companies not getting updates out to you, and we all know this can be very important for Android users, then there should be no better option than SHIELD. As for accessories, the SHIELD console can be paired to a SHIELD Remote, which is based of off Google’s own design that is seen with the Nexus Player. 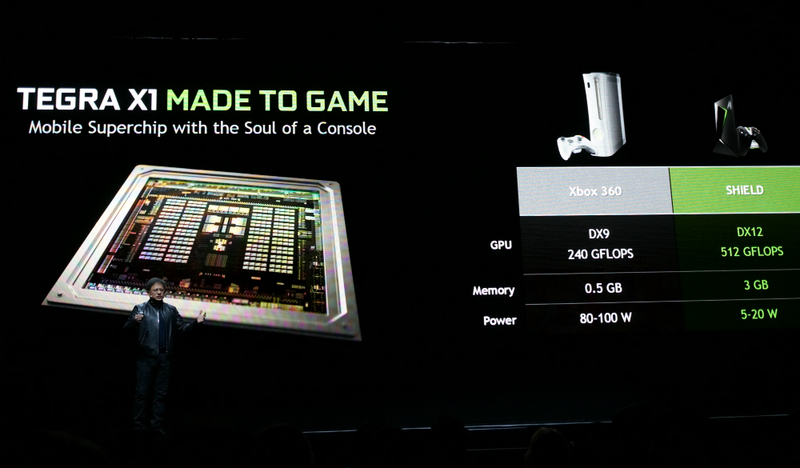 But more importantly, the system comes with a SHIELD Controller, which carries a value of $60 on NVIDIA’s website. 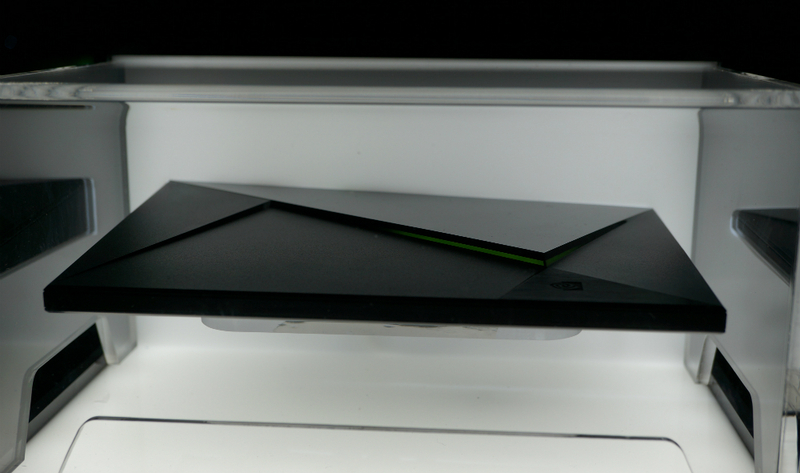 This piece of hardware will be crucial for those of you who want to take advantage of NVIDIA’s GRID network. For potential buyers concerned about specs, NVIDIA has your back. SHIELD comes featuring a Tegra X1 processor with 256-core Maxwell GPU, 3GB of RAM, is 4K-ready, 802.11ac 2×2 MIMO 2.4 GHz and 5 GHz WiFi connectivity, gigabit ethernet, MicroSD slot, 16GB of storage, Bluetooth 4.1, and an HDMI 2.0 port. Stack those stats against any Android TV box on the market and it can’t be touched. The overall package, at least in my eyes as a consumer, has no comparison. As someone who enjoys gaming, by myself and with friends, the SHIELD will be the ultimate Android TV experience for anyone’s home priced at just $199. What is your take on SHIELD and Android TV?